The Ideology, Rhetoric and Politics of DMK Leader and Former Tamil Nadu Chief Minister M.Karunanidhi. THE 1957 elections to Parliament and the State Assemblies constituted a defining moment. It established the democratic credentials of a country newly liberated from colonial rule; it was the first round of elections after the linguistic reorganisation of the States; and it was the first indication that the Indian National Congress could no longer invoke the freedom struggle to win popular support as people started evaluating governance. It was the year two brilliant orators, one in Hindi and the other in Tamil, entered Parliament and a State Assembly, respectively: A.B. Vajpayee made his Lok Sabha debut and M. Karunanidhi entered the Legislative Assembly. At a deeper level, these two politicians represent two contending and confronting ideas about India. Vajpayee represents a homogeneous, uniformed, monolithic imagination of India. 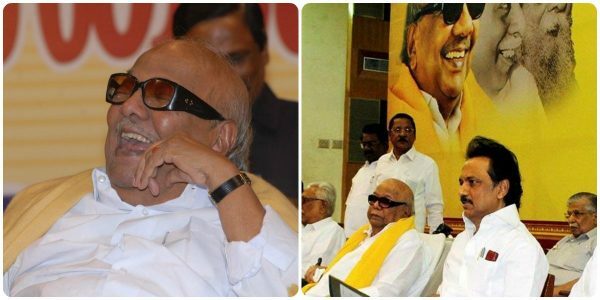 Karunanidhi represents a heterogenous, varied, multi-tiered and multilayered imagination of the country. The ensuing battle between centralising and decentralising forces that characterised the body politic of the subcontinent was the theme that distinguished these two leaders, despite their friendship, which survived decades of political turbulence. While the Dravida Munnetra Kazhagam (DMK) is celebrating 60 years of Karunanidhi’s legislative participation, the Bharatiya Janata Party is strangely silent about its first Prime Minister and the man who kept the party afloat for nearly six decades. Probably, it is refraining from having a function to avoid the inevitable comparison between the two leaders’ electoral records. While Karunanidhi never lost an election, Vajpayee lost his seat to a young leader, Madhavrao Scindia, in 1984. The fact that both leaders, known for their silver tongues, are indisposed and have lost their ability to articulate during these trying times is a sign of a democratic deficit. In order to understand Karunanidhi’s Legislative Assembly interventions and suo motu speeches, one should first understand his politics, his ideology, his notions about public articulation and rhetoric and his command over Tamil. 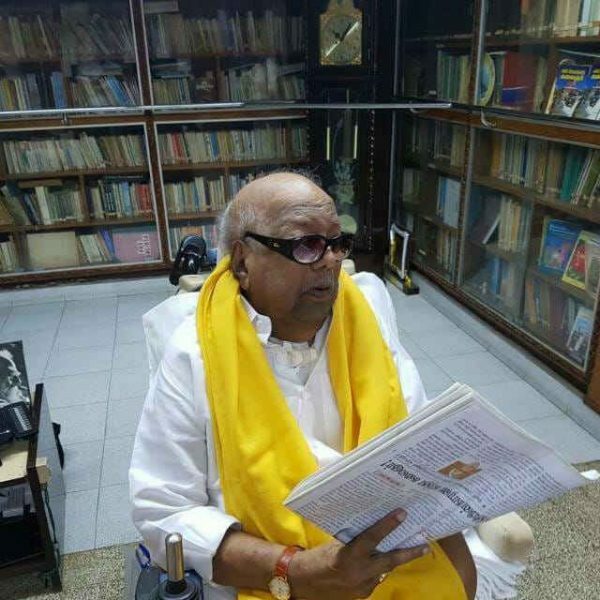 Karunanidhi held various positions in the House, and it is rather a daunting task to distil the more than 150,000 pages of his recorded orations in the House. First, let us take a look at the bare facts of his electoral victories and the posts he held in the House. After his first election in 1957, from Kulithalai in Thiruchirapalli district, he was elected the whip of the DMK legislature party. In 1962, after his resounding victory from Thanjavur, he became the Deputy Leader of the Opposition. 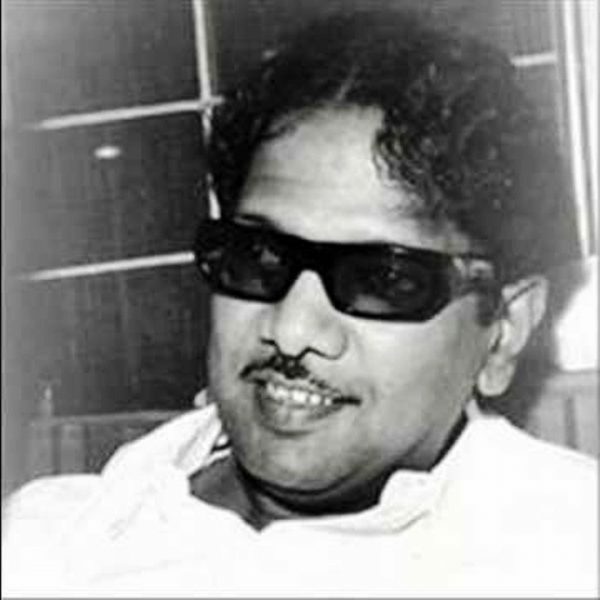 In 1967, he moved to an urban constituency, Saidapet in Chennai, and was on the treasury benches as Public Works Minister until 1969 and as Chief Minister after DMK founder C.N. Annadurai’s death. He was re-elected from Saidapet in 1971 and retained the chief ministership until his government was dismissed for opposing the Emergency in 1976. In his two successive terms, beginning in 1977 and 1980, he represented Anna Nagar and was as the Leader of the Opposition. In 1983, in the wake of the anti-Tamil pogrom in Sri Lanka, he resigned his Assembly seat but was elected to the State Legislative Council, where he was the Leader of the Opposition until the then Chief Minister, M.G. Ramachandran (MGR), abolished it in 1986. He returned to the Assembly from the Harbour constituency in 1989 and became the Chief Minister after a gap of 13 years. While he retained his seat in the 1991 election, which was held immediately after the assassination of Rajiv Gandhi, his party fared poorly, and he resigned his post, taking moral responsibility for the defeat. In 1996, he returned to power as Chief Minister and was elected to the Assembly from the Chepauk constituency, a seat that he retained in the next two elections, in 2001 and 2006. After the delimitation exercise in 2011, his home constituency, Thiruvarur, which had been a reserved constituency since 1952, became a general constituency, from which he was elected with a resounding majority in 2011 and in 2016. One of the primary praxis of his politics is self-respect, a term that has a broad resonance in Tamil Nadu. How does one define self-respect? An incident from Karunanidhi’s childhood will explain the full import of this term. His father, Muthuvelar, enrolled Karunanidhi in a local school and celebrated this vidyarambam (initiation into education) with festivities. He was also keen that his son develop expertise in music. But music training turned out to be Karunanidhi’s first exposure to humiliation and realisation of various social hierarchies. The classes were held in temples; he was prevented from wearing any cloth to cover his upper torso as it was a place where “big people” (read upper caste) came. He had to tie a cotton shawl across his hips as he was not allowed to have it on his shoulders, and he was forbidden from wearing slippers as it was seen as a mark of disrespect and a conscious challenge to the reigning social order. “My music classes were in reality my first political class. I learned about the subjugation of human beings on the basis of their caste. I witnessed the glee with which some people could humiliate others as well as the self-righteousness of others in practising their customs without even realising that they were ill-treating a vast majority of the people,” Karunanidhi said. He could not be a part of a learning process where he was not treated with dignity. The lyrics were always about salvation and ultimate truth. But the classes were structured in a manner in which one’s social standing both in terms of class and caste alone determined the place where one could sit, the types of songs one could sing and also the place where one could sing. “It was not that there were no good human beings among the elites of my place. But their ideas of correcting the mistakes were akin to applying perfume to cover up a deeply rotten wound. They could never understand humiliation and social ostracism. Only a person who is subjected to humiliation can think of performing surgery to get rid of gangrene and not indulge in a cosmetic cover-up. This idea dawned on me during those three years of music class in Thirukuvalai,” he said. Realising his son’s sense of hurt, Muthuvelar agreed to stop his formal training in music and compensated for this with innumerable bedtime stories and ballads. This was also Karunanidhi’s initiation into the wealth of oral tradition. The stories ranged from religious texts and legends to myths and tales that mocked the local elites. Muthuvelar also requested the local headmaster to arrange special tuition classes for Karunanidhi and paid a measure of milk every morning and evening as a princely tuition fee. This training stood Karunanidhi in good stead when he decided to become a full-time politician. It gave him the tools to look at both the intrinsic beauty of the language and its instrumental value when deployed as rhetoric in political platforms. Unlike other leaders of his party such as C.N. Annadurai, V.R. Nedunchezian, K. Anbazhagan and K.A. 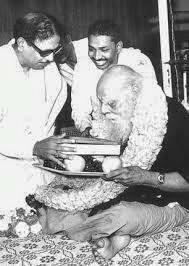 Mathiazhagan, who were university educated, Karunanidhi had to embark on an excruciating excursion into erudition. He realised the potential of communication. He knew that the one area where he could better the other leaders was his ability to work on fiction, performing arts and journalism. His notion of self-respect gave him the moral strength to launch his own publication (Murasoli), his own plays (36 in total), and to contribute to the publications Periyar E.V. Ramasamy and Annadurai brought out, and to experiment with new forms of fiction. One of his best articles, from the early 1940s, remains a hallmark of good journalism even today. Titled “Theetayuduthu” (It’s polluted), the article was a frontal attack on the Thiruvayaru Thygaraja Festival’s humiliation of the Tamil language. During the annual festival, a singer rendered a Tamil song. The next singer refused to sing until the place was “purified” as it had been polluted with a Tamil song. The organisers, without batting an eyelid, called for priests to perform a special puja to purify the place, cleaned the concert podium with water and then invited the next singer to perform. This particular episode captures the status of both the Tamil language and Tamils just before freedom. Unfortunately, the situation has not really changed despite seven decades of the self-respect movement, and Tamil composers are not held in high esteem within the pantheon of south Indian classical music. It was Karunanidhi’s sharp understanding of the heterogeneity brought in by Buddhism and Jainism that drew him to long-form literature, which in turn shaped both his public speeches and his creative writing. His decision to write a play based on Kundalakesi called “Mantri Kumari” is a pointer to understanding his cognitive universe. In the pantheon of Tamil literature there are Five Great Epics (Iymperum Kapiyam): Silapathikaram, Manimekalai, Civaka Chintamani, Valayapathi and Kundalakesi. These epics historically make a major shift in Tamil literary practices. Right from the Sangam days, Tamil literary forms were known for their poetics and shorter forms of narrative. The longer explorations such as Tholkappiyam were grammatical treatises. The birth of epics was the first attempt to present a longer tale embedded with a range of sociopolitical registers. The most defining element of these five epics is the fact they are clearly against Brahminical orthodoxy and are either from the Jain or Buddhist tradition. Stanley Jeyaraja Tambiah, one of the best Harvard anthropologists of the 20th century, rates Manimekalai as the best literary work of the entire oeuvre of Theravada Buddhism. Unlike the first three epics, the complete texts of Valayapathi and Kundalakesi are not available and are known through fragments and literary tradition. Karunanidhi chose Kundalakesi for his theatrical rendition primarily because the story unfolds from the point of view of a minister’s daughter, a commoner and not royalty. The narrative is multilayered, and the politics of change is subtle but runs through the epic. 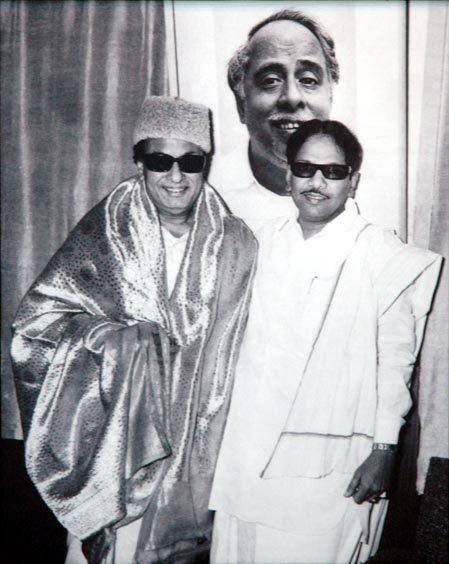 At that time neither Karunanidhi nor MGR had any inkling that this play would catapult both of them to stardom within a couple of years. 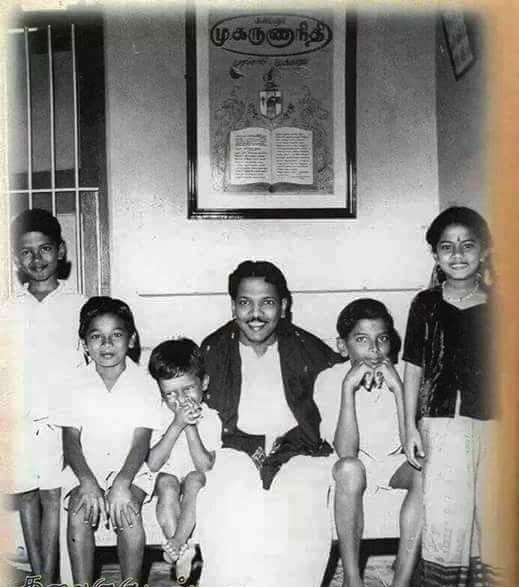 By the time the DMK was formed in 1949, Karunanidhi was a star film writer and a prolific political columnist. His wordplays and pithy one-liners became the propaganda vehicle both for the party and for the ideology. His maiden speech in the Tamil Nadu Legislative Assembly, on the plight of the Nangavaram farm labourers, encapsulated this oeuvre of linguistic expertise, rooted in the self-respect politics, and gave him an edge in the legislature. Nangavaram, which lies within the Kulithalai Assembly constituency region, had an exploitative remunerative system for farmhands. Curiously, the courts upheld the draconian practices that denied farmworkers their due wages, and the government did not go in for an appeal against the verdict. The appalling condition of the men, women and children of this village was the theme of Karunanidhi’s maiden speech. He invoked Thirukkural to make the point that one had to be an adversarial voice to the ruling government. He cited Kural 448: “idippaarai illaadha emaraa mannan/ ketuppara rilaanung kedum” (The king whom no one checks, no minister corrects/ Does not have to wait for foes, himself he vivisects: from the English translation by Gopalkrishna Gandhi, Aleph, 2015). It was a speech that looked at the skewed landowning pattern, the legally sanctioned exploitation, the judiciary’s class bias and the failure of the state machinery to provide fundamental safeguards to the poor and marginalised sections of society. This intervention forced the government to act, though belatedly and rather slowly, and it did help the farmers of Nangavaram to gain decent wages and win back their dignity. The Nangavaram intervention also helped the DMK to slowly overtake the Left in the Cauvery delta region. His interventions on Hindi imposition, on police reforms, the budget deficit and the attempt by the Union government to control items listed in the Concurrent List are clear articulations. They make their points delving deep into both constitutional provisions and the best practices that make a polity truly federal in its character. His speeches provided an idea of social justice that went beyond caste-based reservation and targeted affirmative action. It was not only inclusive but also implementable. And, central to this inclusive social justice was electricity for all and transportation for all. As Public Works Minister, he presided over the nationalisation of the bus service despite opposition from the alliance partner, the Swatantra Party led by C. Rajagopalachari. Along with nationalisation, the government also introduced tax slabs for private transport operators, which the Swatantra Party described as a debilitating burden on the private sector. In his reply in the Assembly, Karunanidhi pointed out that if the private sector really felt that the tax slab was burdensome there would not be a rush of applications for new routes. He said: “It seems that the private sector is willing to pay even more taxes to get more routes as the number of applications indicate… it is important to note that the increase in the number of private buses. It was 5,395 in 1966 and 5,681 in 1967. Whereas the government buses were 1,234 in 1966 and 1,638 in 1967.” He then explained the advantages of affordable mobility and its impact on the livelihood of the people. It was the same zeal that pushed him in 1969 to embark on working towards 100 per cent rural electrification, and the State was the first in India to achieve this target. “Electrification is the best indicator to understand the urban-rural divide, and as a party committed to removing inequality of all forms, this became a priority for us,” he said. Probably one of the finest explorations of Centre-State relationship was in his speech following the meeting of southern Chief Ministers organised by Ramakrishna Hegde in Bangalore (now Bengaluru) in 1983 in which MGR took part. Tracing the legal framework from the Government of India Act of 1935 to that day, he drew the attention of the House to the common mistake the centralising forces made while characterising the demands of the State for autonomy. He said: “State consciousness is an enabling trait. It is wrong to call it chauvinism… demanding the just and inalienable right is neither separatism nor is it a fissiparous tendency. It is central to federal arrangement where the governing principle should be ‘collective rule at the Centre and autonomous rule at the State’ [madhiyil kootaatchi, maanilathil soyaatchi].” He also used the opportunity to explain the salient features of the Rajamannar Committee Report, which was the first-ever attempt by any State government to look into the federal arrangement in the country. In 1997, when the H.D. Deve Gowda-led United Front government fell, some leaders of the Front suggested that Karunanidhi take over. His cryptic answer: “En uyaram ennuku theriyum” (I know my height). For a person who renounced all Central government postings, he played a big role in the running of various Union governments. When the Indian National Congress split in 1969, it was the DMK’s support to Indira Gandhi that provided stability at the Centre. 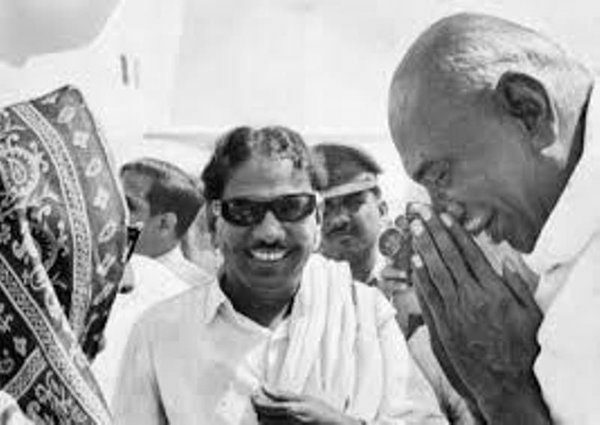 Karunanidhi was part of Jayaparakash (JP) Narayan’s initative to oppose the Emergency, and when JP launched the Janata Party, the DMK was the first party to align itself with it. Karunanidhi particularly cherishes his role in the formation of the National Front. “The National Front government in 1989 remains my best contribution to national politics. Though the government was short-lived, it implemented the Mandal Commission report [recommendations]. The self-respect mission that started in Tamil Nadu became a national phenomenon,” he said during an informal talk in 2006. This is significant because at that stage his party had a huge contingent of Ministers in the Union Cabinet headed by Prime Minister Manmohan Singh. It is rather disturbing that a person of his stature was denied a special seating arrangement in the Legislative Assembly after he became wheelchair-bound in his last two terms. The Legislative Assembly Speakers, who invoke sky-high powers using uncodified privileges when it comes to penalising journalists, did not even try to assert their basic sense of democracy to enable a veteran to be part of the debate in shaping the destiny of the State. It is an irreparable loss to the entire State, which history may not forgive, and should not forgive. « “Black July”: Thirty-fifth Anniversary of 1983 Anti-Tamil Pogrom.